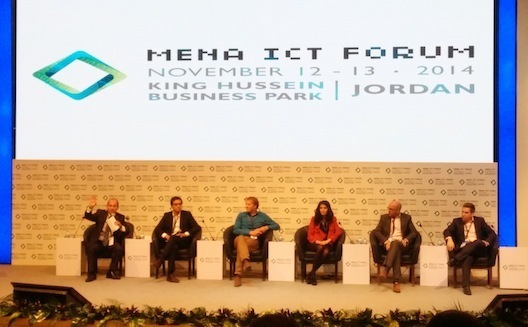 A recent panel at the MENA ICT Forum included liwwa's Ahmed Moor, second from left; crowdfunding strategist Ronald Kleverlan, third from the left; Eureeca's Chris Thomas, second from right; and Abdallah Absi, far right. Access to capital is a well-known constraint to entrepreneurs and others seeking to get a project off the ground, particularly in the MENA region. However, those seeking to fund a business or project in the region have quite a few more options available to them than they did, say, two years ago. The reason: the region’s expanding and maturing crowdfunding sector. Now, whether you’re seeking funds for a new guitar for your music lesson business, to launch a new c-working space, or scale your tech startup to the Gulf, there are a growing number of platforms that suit your specific needs. With traditional banking not a viable avenue for capital acquisition for most, and with venture capital still developing in the region, the importance and potential of these relatively novel fundraising opportunities cannot be underestimated. In addition to providing entrepreneurs, small business owners, and creative project leaders with much needed access to capital, crowdfunding platforms offer a number of auxiliary benefits, including market research and product validation opportunities. They can also yield a venture’s first group of customers, ambassadors, and advisors. For all of these reasons, the continued growth of the region’s crowdfunding sector may become necessary for a healthy tech ecosystem in the MENA. The region’s crowdfunding sector has exhibited immense progress in the past three years. Currently, all of the primary crowdfunding models – reward-based, donor-based, debt-based, and equity-based – are represented in some form or another in the region, and many of the technical and legislative challenges (enough to be operational) inherent to crowdfunding have been overcome. Platforms such as Zoomaal, Eureeca, and liwwa, now have their eyes set on considerable growth in the next year or two. Crowdfunding is fundamentally a two-way market, with the fundraisers on one side and the funders, or the ‘crowd,’ on the other. Cultivating an “ecosystem” is crucial to developing a sound, sustainable crowdfunding platform, one in which there is a sizable pool of entrepreneurs interested in launching campaigns, and enough investors to fund them, or enough campaigns to meet the demand of potential investors, explains crowdfunding strategist Ronald Kleverlaan. In other words, both sides of the crowdfunding coin must develop in balanced fashion so that no bottlenecks in the process arise. This two-sided development can take time. “Whenever you’re creating a two-way market, in this case entrepreneurs and investors, it can be slow initially, until you build up that critical mass; once you hit that point it really just runs itself,” says Chris Thomas, founder and CEO of the crowdinvesting platform Eureeca. Of the crowdfunding platform founders interviewed for this article – Abdallah Absi of Zoomaal, Thomas of Eureeca, and Ahmed Moor of liwwa – all three said they were experiencing, to varying degrees, shortages in their respective platform’s ecosystem. In a similar vein, of the some 1,000 applications Eureeca has fielded in the 15 months since it went live, only 26 have been approved for investment by the equity crowdfunding platform. While this 2.6% acceptance rate is reflective of Eureeca’s deliberate limiting of the number of startups placed on the platform each month (to prevent watering down the startup pool), it is also indicative of the fact that viable, investible startups are difficult to find in the region. “There are still in this relatively young market, by market I mean the Middle East, challenges when it comes to viable businesses to invest in,” says Thomas. Vital to developing both sides of the crowdfunding equation, and thus facilitating growth, is education. This is particularly true in a market such as the Middle East where the concept is more novel compared with the US and European markets. Zoomaal, Eureeca, and liwwa are all trying to strengthen their respective ecosystems through various educational measures. 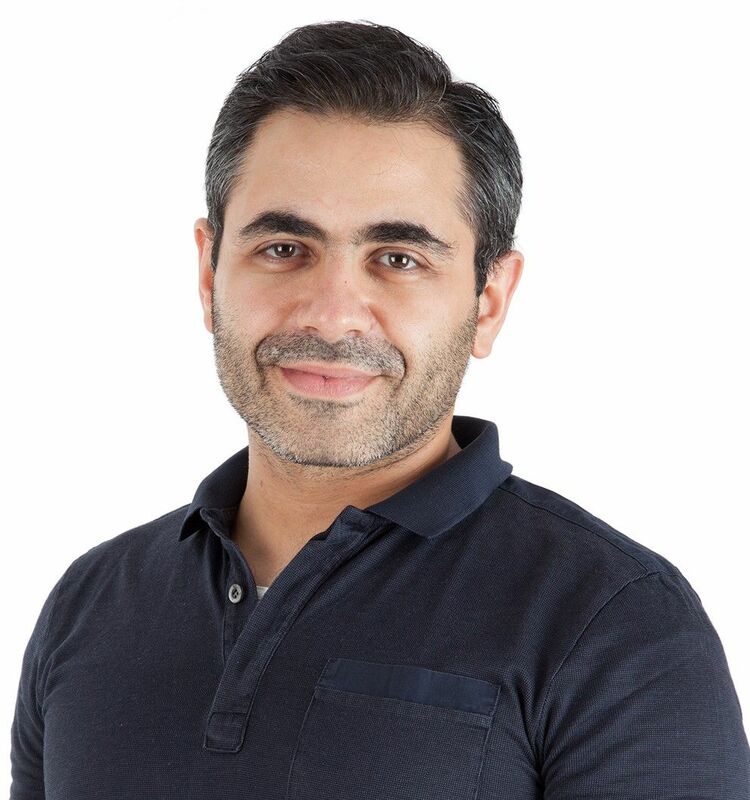 “If you have interesting, creative, and innovative campaigns, they are going to get funded,” says Absi of his experience with projects on Zoomaal. As such, the Zoomaal team has been trying to improve the quality of the campaigns on the site through a series of tutorials and webinars, as well as connecting campaigners with video producers. For Eureeca, educating entrepreneurs and investors about the platform – how it works, why it’s beneficial, how your startup can be best prepared for investment – has become the primary challenge. Entrepreneurs, for example, are provided with templates, go-to-market strategies, and marketing playbooks. They also have access to a number of seminars and workshops aimed at preparing businesses for the platform. Investors are also targeted by such measures in order to make the crowdinvesting process less confusing and more appealing. Eureeca’s efforts to simplify the crowdinvestment experience for entrepreneurs and investors are closely linked to this education process. “It’s a lot easier to educate people if you have simple systems. The key for us is to ensure that we’re making our product as simple as possible because the simpler it is the simpler it is for people to understand, and, therefore, the easier your education process is,” says Thomas. With high expectations for growth in 2015, the liwwa team is focused on expanding the lender side of its P2P lending platform. The team’s primary task is educating people about the model, and it is using word of mouth to market the platform to individuals and small groups of potential investors. CEO Ahmed Moor expects that as success stories continue to validate the model, the pool of lenders will increase and thus allow for larger loans at a higher volume to be issued. 2015: A tipping point for crowdfunding in the region? While 2013 was the year that the region’s crowdfunding sector really emerged in terms of platform launches, the pieces may be in place for 2015 to be the year for serious growth for the sector. Given the region’s access to capital issues, if platforms continue to improve their models and educate people on the massive benefits crowdfunding can have for the region, that outcome seems inevitable to occur at some point; whether or not that’s this year remains to be seen.